Which countries can I ship to using ePacket? How long does it take? Which countries can I ship to using ePacket? And how long does it take? by Afroz Nissar, Last Updated on August 2, 2018 370 Comments. Source: China Post ePacket Fees and Regulations (link in Chinese and changes sometimes; let us know if the link is out-of-date). Need to ship to countries not supported by ePacket? Not a problem. We use multiple shipping services and cover every single country around the world! Just let us know if you want to ship to countries not supported by ePacket and we'll provide you pricing accordingly. But this list is different from what I’ve seen on other sites! Yes, this list might be different from what you’ve seen on other sites. Unfortunately, there’s a lot of confusion out there about ePacket. Part of the problem stems from the fact that the USPS also has a service called ePacket. Their ePacket service is only for packages that originate in the US. Obviously, China Post’s ePacket service is for packages that originate in China. As far as we can tell (but we’re not 100% sure), certain countries like Lithuania, Latvia, Estonia, Malta, and Gibraltar are served by USPS ePacket. Those countries are not served by China Post’s ePacket. Yes, we’re sure of this. After all, shipping via ePacket is what we do. Ready to get take advantage of cheap and quick shipping via ePacket? Great! Head over to our quote request form, fill it out, and we’ll get back to you ASAP with a pricing model that works best for your business. All this information was published by China Post (link in Chinese and changes sometimes) on May 2nd 2017 and is accurate as of June 2018. However, they can update this information without prior notice. We try our best to keep this page up-to-date but reach out to us for confirmation before taking any action based on the information here. I've been helping companies grow in the e-commerce space for almost a decade. I've saved companies countless hours of work and, most importantly, helped them significantly improve their bottom line. That said, ePacket Express was... unexpected. I was using ePackets to ship my own products from China when I realized that there were a lot of other entrepreneurs out there that wanted to use the service but couldn't. Since I already had the infrastructure in place to manage inventory and ship packages, I figured it would be nice to help my fellow entrepreneurs with their logistics. Apologies for the delay. I’ve sent you a quotation by email. Thanks! Thank you for reaching out! I’ll send you an email soon. We offer some services that can ship to Iraq. Please submit a quote request and we’ll send you all the details in an email. Is there any plans to extend epacket services to India in the near future? That would be much appreciated by the entrepreneur community. Unfortunately, that’s not a question I have the answer to. I do know that China Post is always working on expanding the list of countries that they can serve via ePacket. I’ll be sure to update this list every time they add a new country so keep an eye out! We have some good news! There is a new option for shipping to India. I will send you the details in an email. Thanks for reaching out! I will send you the details for shipping to India in an email. I also belong to India. Can you send me details too?? I will send you all the details in an email. Can you send it to me too please? Of course, I will send you details in an email. You can also check our blog post about eCourier services for shipping from China to India. Can you provide me the price details to UAE and India. Thank you for reaching out! In order for us to send you the quotation that suits your business needs the best, we just need some information about your products. Please submit a quote, and someone from our team will contact you as soon as possible. Thanks! Please send us a quote request and someone from our team will reach out to you with all the details via email for shipping to India. Thanks! Hi Natasha, Can you please send me the detail for India? Please submit a quote request and someone from our team will contact you via email with all the details. Thanks! I will send you all the details about shipping to India in an email. could you please share shipping details to INDIA. We will send you more details to your email address. We just need some information about your products so we can give you the best possible quotation. Please submit a quote request and someone from our team will reach out to you with all the info about shipping from China to India. I have hundreds of small merchandises I need ship to individual US customers. My China office is in Shanghai, the items are 2-5 ozs by weight. Would you advise me how to start? Whom should we talk to to set up account? Thanks for reaching out! I’ll email you shortly so we can get a conversation going to figure out how we can best help you. The link is in Chinese. Can we get an English link so I can see the rates/terms on ePacket Express Please? Sorry for the late response! We somehow missed your comment. The link is in Chinese because it’s by China Post (and we’re not related to China Post, we just use their ePacket service for our clients). I’ll reach out to you via email with a few questions so I can prepare a quotation for you. Thanks! Do you know if South Africa will be added to the list in future? It would be great to be able to offer quick and efficient shipping times. Actually, there is an option we can offer you. I will email you the details. Can you please share the options you can offer for shipping to South Africa. I will share with you all the details via email. Hi Natasha, can you let me know as well on the alternative for fast shipping to India? Thanks. I will send you all the details for shipping to India in an email. I’m interested in shipping t South Africa. I will send you all the details about shipping to South Africa in an email. I shall send you more information about shipping from China to South Africa. Please share it with me as well as I am also from South Africa! Please send me the shipping details for South Africa. Thank you for reaching out! Please send us a quote request with some details about your products, and someone from our team will contact you with the details regarding shipping to South Africa. Please send me the details for shipping to South Africa as well. Please submit a quote request and tell us a little bit about the products you’re looking to ship and we’ll send you all the information about shipping from China to South Africa. I would appreciate the info for South Africa as well. I’ve sent you an email explaining all the details. Please could you send me the South Africa details as well..
We’d be happy to discuss with you how we can help you with shipping to South Africa. Please send us some details by submitting a quote request and we’ll get back to you ASAP! Thank you for reaching out! I will send you info for shipping to South Africa in an email. I will also appreciate information regarding sending to South Africa. I’ve sent you more information about shipping to South Africa. Hello – can you send me please more info about ePacket from China to United states? how long does it takes? is it 7- 10 days or more?? Official China Post EMS delivery time for shipping from China to the USA is 7 to 10 business days. For more information about our services, please submit a quote request and someone from our team will contact you as soon as possible. Hi Natasa. Please will you send me shipping options from China to South Africa. Thanks in advance. We’d be happy to provide more information about our shipping options from China to South Africa however, we require more details in order to give you an accurate quote. Does Epacket send to Middle East countries such as Afghanistan ? Unfortunately, ePacket does not support shipping to Afghanistan. However, China Post is always expanding the list of supported countries for ePacket. We try to keep the list on our website up-to-date, so you keep an eye on changes. I will let you know if there is an option we can offer you for shipping to Afghanistan. Unfortunately, Nigeria is not on the list of supported countries for ePacket. However, China Post is always expanding the list of supported countries, so maybe it will be supported in the future. We are trying to keep the list on our website up-to-date, so make sure to check if there are any changes. I will email you if there is something we can offer you for shipping to Nigeria. Thanks for reaching out! I will send you all the details for shipping from China to South Africa in an email. HI there!! Can you please email me the shipping options for Cape Town,South Africa,Thanks. Can you also share details on South Africa epacket shipping? I will send you the details via email. I am willing to start dropshipping business in Saudi Arabia through aliexpress. Please advise me average delivery time and shipping cost through epacket. Official ePacket delivery time for Saudi Arabia is 7 to 15 business days. I will send you an email regarding shipping costs. Hi I am about to start e-commerce business in Ghana and Nigeria with AliExpress can you please advise me on average delivery time and shipping cost. Unfortunately, ePacket does not support shipping to Ghana and Nigeria. I will let you know if that changes. Please if you have found a good logistics company that works with AliExpress to ship goods to Nigeria, do let me know. I also want to know about service to south africa please. I will send you the details in an email. Please forward the details to me, too. I’m currently building an online store in Nigeria. Unfortunately, Nigeria is not on the list of supported countries for ePacket or eExpress shipping. I will let you know as soon as something changes. When your services are offered in Nigeria, please let me know. As soon as China Post adds Nigeria to the list of supported countries for either ePacket or eExpress we will let you know. Thanks Natasa. Please can I have the details for South Africa. I also use Ali dropshipping but facing problem with delayed delivery of China Post. Can you help me out. Unfortunately, this is not something we can help you with. We are a logistics company that uses the services of China Post, we are not China Post. For any problems you may have with a delayed delivery that did not go through us, you’ll have to reach out to your seller. Hi. Can you help me means to use e-paket to get products to Ghana? Unfortunately, Ghana is not on the list of supported countries for ePacket. However, China Post is always extending the list of supported countries for both ePacket and eExpress, so maybe in the future, they will add Ghana to the list. If that happens, I will let you know. We are always trying to keep the list on our website up-to-date, so try to check it from time to time to see if there are any updates. Could you please email details regarding ePacket shipping to South Africa? I will send you the details regarding logistic solutions to South Africa in an email. Unfortunately, at this moment there is no good solution for shipping to Nigeria that both delivers fast and is not too expensive. However, I will let you know if anything changes. Can you share epacket shipping to india? Thank you for reaching out! I will send you all the details about shipping to India in an email. Please help with the details for South Africa as well. Hi Gracie, I’ve sent you an email explaining all the details. You can also check our post about eExpress shipping that has some information about shipping to South Africa. I would also like some more info regarding South Africa. I will send you an email with all the details regarding shipping to South Africa. will you also please send me info about the shipping to South Africa? Of course, I’ll send you an email with the details about shipping from China to South Africa. Your link to China Post ePacket Fees and Regulations is out of date, please can you provide up to date cost info? Thank you for pointing out this. Links are now correct. Hi. Do you know of alternative shipping to the Philippines? Im planning to dropship. There is an option for shipping to the Philippines that we can offer you. I will email you the details. Can you also send me the details for shipping to the Philippines, I’m interested in doing dropshipping as well and looking for the best shipping options. Thanks in advance. Can you send me details for dropshipping in the Philippines? Also looking for more efficient options in terms of shipping. We can help you with finding the best suppliers in China for your dropshipping business. Recently, we’ve decided to introduced a new Dropshipping package. How it works is we find suppliers for a certain number of products for you (for much cheaper than what AliExpress sellers offer), organize shipping to our warehouse and ship it out directly to your customers. We can also offer you several shipping options for shipping to the Philippines. If you’d be interested in learning more about our services, just give us a bit information about your products by submitting a quote request and someone from our team will contact you ASAP! Can you please give me another option for shipping in Philippines? Thank you. I will send you the email explaining the option for shipping to the Philippines. I’m interested in doing dropshipping to Singapore via epacket. Is there an option for shipping to Singapore? Thank you for reaching out! I will send you all the details about shipping to Singapore via email. Is there any plans to extend epacket services to Philippines or is there an option for shipping in Philippines? Pls let me know. Thanks. Unfortunately, Philippines are still not on the list of supported countries for ePacket and we do not know when and if that is going the happen. That depends entirely on China Post and if they add the Philippines to the list, we will inform you. In the meantime, there is an option we can offer you for shipping to Phillippines. I will send you all the details in an email. Is there an option for the philippines? Unfortunately, Philippines are not on the list of supported countries for either ePacket or eExpress. However, there is an option we can offer you. I will send you the details in an email. Is there any plans to extend epacket services in the Middle East? Unfortunately, that’s not a question we can give an answer to. ePacket is service offered by China Post and they decide which countries are supported. We are always trying to keep the list on our website up-to-date, so try to check it from time to time to see if there are any updates. You can also check the list of countries supported by eExpress shipping. Hi can you give details of Epacket express service from China to India . Thank you for reaching out! Unfortunately, ePacket is not available for shipping to India. However, we can offer you another similar service called eExpress. I will send you all details about eExpress shipping to India in an email. Could you kindly send me information regarding dropshipping and ePacket for South Africa? Unfortunately, ePacket service is still not available for shipping to South Africa. However, there is a service offered by China Post EMS called eExpress that supports shipping to South Africa. I will send you all the details about this service in an email. What shipping options are available to Ethiopia? Also, what are the costs and timelines involved for each shipping option to Ethiopia? Unfortunately, Ethiopia is not on the list of supported countries for ePacket or eExpress shipping. I will let you know as soon as something changes. Could you kindly send me information regarding drop shipping and ePacket for South Africa? Unfortunately, ePacket shipping is not available for South Africa. However, I will send you an email with other options we can offer you for shipping to South Africa. Can you please tell me how long does it take for epacket to arrive in UK. Official China Post EMS shipping time for shipping to the UK using ePacket service is 7 to 10 business days. Is there any option for Iraq to use ePacket services? Unfortunately, Iraq is not on the list of supported countries by ePacket. If I ship all my goods to Turkey then I arrange from Turkey to Iraq, Could you tell me Estimated time needed to delivery from China ( Aliexpress ) to Turkey? because I checked some products on Aliexpress its written 20 to 40 days as thats too long, but in your website is written 7 to 10 days, could you tell me the correct one? Could you reply my question please? Can you please send me the details for South Africa too please. I will explain all the details about shipping to South Africa in an email. You can also check our blog post for more information about shipping to South Africa using eExpress shipping. what is the alternative option for epacket in the Philippines? Thanks! Thank you for reaching out! I will explain all the details regarding shipping to the Philippines in an email. could you also send me the shipping details for India please? I will send you an email explaining all the details regarding shipping to India. Thank you for reaching out! I will email you all the details about shipping to South Africa using eExpress service. Hello! When will the Philippines be included in your list? Thanks! Unfortunately, we do not decide which countries are added to the list for ePacket service. ePacket and eExpress are services offered by China Post EMS and they decide which countries are supported. However, China Post keeps adding new countries to the list, so it may happen that they will support shipping to the Philippines in the future. Need shipping details to South Africa please. Any idea when S.A. will be added to the list for ePacket? Unfortunately, we do not know when and if South Africa is going to be added to the list of supported countries for ePacket service. That depends entirely on China Post. However, they are always expanding the list of supported countries and we try to keep up with their updates, so once they add a new country to the list, we make sure to update the list on our website. In the meantime, we can offer you eExpress service for shipping to South Africa. I will send you all the details regarding this shipping service in an email. Hi there. I’e noticed that some products ship to few countires mentioned in the list, but not to all of them. For example, product ships to Norway but not to Austria. Why’s that? I’m not sure I understand your question since both Austria and Norway are on the list of supported countries by ePacket. Can you please let me know which list are you referring to? I’m from India too & I’m interested in ePacket service/s. Please send the details. I will explain all the details regarding shipping from China to India in an email. Can you send me the details for using epacket to shipment in India. I have a question regarding the ePacket service. I have an ecommerce website and a warehouse in China and I want to ship my products to US. Could I use ePacket service directly? and how could I use the service? In order to use our services, you would need to store your products in our warehouse. For shipping the products directly from your warehouse, you’ll need to contact China Post. Hi, I’m reffering to this list. What I mean is some products on aliexpress that use ePacket, ship their products with ePacket to only part of the list, and not the full list. For example: product X ships to only 12 countries out of 33 from the list. Did you understand? You can ship to all the countries on this list using ePacket. However, AliExpress sellers choose which countries to support and that’s completely their decision. We have no influence over it. Please share information about fast shipping to India from China. I run ecommerce business, so, will need the service on regular basis. I will send you an email explaining all the details about shipping to India from China. could you also send me the shipping details for Pakistan please? Unfortunately, China Post EMS does not support shipping to Pakistan at the moment. So, we cannot offer you a cheap and reliable option for shipping to Pakistan. However, they are always expanding the list of supported countries, so try to check our website regularly for the updates. Will you plz send me the details of ePacket service to India? Unfortunately, ePacket is still not available for shipping from China to India. However, there is another shipping service called eCourier similar to ePacket that does ship to India. I will send you more information in an email. Unfortunately, China Post does not support shipping to Georgia, so we cannot offer you a cheap and reliable shipping service to Georgia. Hi, can you please confirm if you have service to Guatemala, and if yes can you please specify how it works if we do not have postal service for public us in the country. Unfortunately, Guatemala is not on the list of supported countries for any of the China Post EMS services. Thank you for reaching out! I will send you an email explaining all the details regarding shipping from China to South Africa. i’m not a company and i want to source product from china and list them in amazon and ebay , and when i receive an order i want to ship it directly from china to my customers .., can you please guide me if you provide any services that can help me achieve this business model ? Yes, we can definitely help you achieve this! I will send you an email explaining what we can do for you and how we can help you scale your e-commerce business. Please could you email me the info about epacket shipping to South Africa? I’ve sent you an email explaining all the details about shipping to South Africa. You can also check our blog post about shipping from China using eExpress service for more details. Can you kindly provide me a list of African Countries Epacket or eExpress supports I’ll highly appreciate it. The only country in Africa that’s supported by eExpress, or any of the fast shipping services offered by China Post for shipping from China, is South Africa. Thank you for reaching out! I’ve sent you an email about eExpress service and shipping to South Africa. Please forward me shipping info for South Africa. I’ll forward you all the information about shipping from China to South Africa. I’ll send you an email with more information on shipping to South Africa. I am familiar with shipping from China internationally and would like someone to kindly send me a price list via email for the cost of e-packet services from China to it’s 35 international countries. I will send you an email with details about shipping from China internationally using ePacket service. May I have the price list about shipping from China to international using ePacket Service? Thanks a lot. I’ve sent you an email about shipping from China internationally. Can you please send me a price list via email for the cost of e-packet services from China to it’s 35 international countries. I’ve sent you more information about this. I would like to know aswell. Can you share the same information with me? In order to give you the quotation that suits your needs the best, we just need some information about your products. Please submit a quote request with this information and someone from our team will send you the most suitable options for shipping from China ASAP! Can I ask how to ship to Armed Forces Europe? Because there do not seem to be that option under State/Province/Region when i tried filling up the shipping address in aliexpress. Unfortunately, this is not something we can help you with. We are a logistics company that stores products for our clients in our warehouse and ship them directly to their customers using ePacket (which is a service offered by China Post EMS). AliExpress sellers choose countries they want to support, and there is nothing we can do about it. You can try to reach out to AliExpress seller and ask them if they’d be willing to ship the product to your address. Will you kindly assist by sending me ePacket rates for all supported countries? I am a Dropshipper; this will greatly help me adequately set my shipping prices. Your early reply will be much appreciated. I have sent you more information about this. Hi! Please can I have the details about shipping to South Africa too? Thank you for reaching out! I will send you an email soon. Please send me the details for South Africa as well! I will send you the details about shipping to South Africa in an email. Please email me the info regarding shipping to South Africa. Thank you for reaching out! I will send you an email, so we can further discuss how we can help you ship your products from China to South Africa. I’m afraid I don’t completely understand your question. Do you refer to a particular shipment or shipping from China to Germany in general? Could you please provide me the details for epacket to South Africa. I’m very interested. Unfortunately, South Africa is not on the list of supported countries by ePacket. However, there are other options we can offer you for shipping from China to South Africa. I’ll send you more details in an email. is this service available for Pakistan? Yes, we have a shipping option for Pakistan. I have sent you more details about this yo your email. Brian can you please forward the details for Pakistan to me as well. I have sent you details about shipping to Pakistan from China. I would also like details on shipping to Pakistan from China. I am a dropshipper based in Canada who just received an order to Pakistan. Would like to find the most affordable / reliable option. Thank you for reaching out! We’d like to discuss with you how we can help you out. However, in order to give you the most suitable quotation for your needs, we just need some information about your products. Please submit a quote request and someone from our team will reach out to you as soon as possible. kindly assist by sending me information about ePacket rates and delivery time for all supported countries including South Africa. I have sent you more details about this. Hi Natasha could you please share the details with regards to shipping(dropshipping in particular) to south africa as well with me. Will be highly appreciated. I’ll send you an email soon explaining all the details about shipping from China to South Africa. Please send me the necessary information for shipping to South Africa. I’ll send you an email with the details regarding shipping to South Africa. Can I please also have the details for South Africa please? I’ve sent you an email with the details. Please check your inbox. I need different items from multiple sellers on AliExpress and combine them to be delivered as one parcel to Bangladesh. I found your answer on Quora. Please send me the necessary information and pricing plan for shipping to Bangladesh. We can definitely help you out with your request! Please submit a quote request to tell us a little bit about your products and someone from our team will reach out to you ASAP. I have hundreds of small merchandises I need ship to individual US customers. My China office is in Shanghai, the items are 10-25 ozs by weight. Would you advise me how to start? Whom should we talk to to set up account? I’ve sent you more details about this. I will like to know the details about Nigeria. Unfortunately, at the moment we don’t have a shipping option that is a cheap and reliable at the same time for shipping to Nigeria. I will send you an email with some options that we can offer you. I would like information on how to ship from the US to other countries via epacket. I also want information to ship to India and South Africa. Unfortunately, this is not something we can help you with. We are located in China and we can only ship from China to other countries. Thanks for pointing out that USPS also has an ePacket service along with China Post, that’s very helpful and clears up some confusion! Since package size and weight limitations are one of the disadvantages I’ve come across with ePacket, I learned in this article https://www.abetterlemonadestand.com/epacket-shipping/ that there’s another service called eExpress that’s similar to ePacket in that it offers fast and trackable shipping but for packages that don’t meet ePacket package size and weight restrictions. Is this something you offer? If you’d like to get pricing, submit a quote request and someone on our team will get back to you on Monday! Thank you for reaching out! 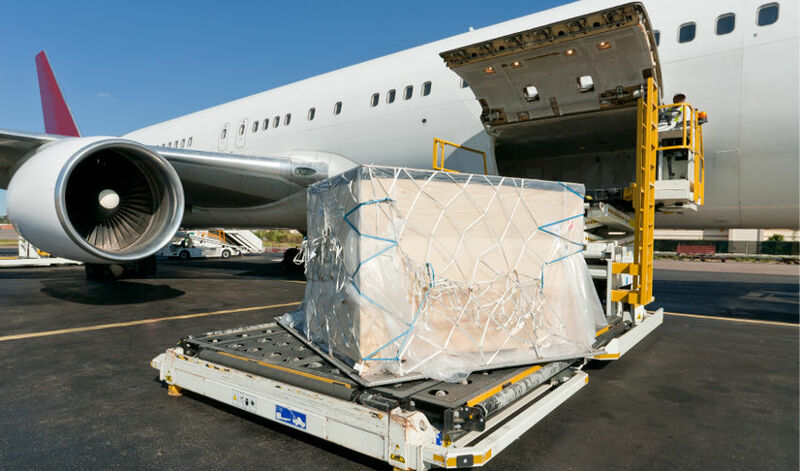 For shipping to South Africa, we can offer you a couple of different shipping services. In order for us to send you the quotation that suits your needs the best, we just need some details about your products. Please submit a quote, and someone from our team will contact you as soon as possible. Thanks! Please could I have more information on shipping to South Africa (following the dropshipping model). We’ve received your quote request. I will send you an email as soon as possible. Is there any way to use ePacket services to ship from Pakistan? We are a logistics company that ships only from China to other countries. For shipping from Pakistan, please contact your local shipping service provider. I’ve sent you an email. Can you please confirm that you’ve received it? Thank you for reaching out! Before we can send you a quotation for our services for shipping to the Philippines, we just need some details about your products. Please submit a quote, and someone from our team will contact you as soon as possible. Thanks! I need some help setting up a epacket account. I am running an online store helping dropshipper but cost of shipping is pretty high for everyone involved. I am resident in China. Any idea on how to set it up? Please contact China Post EMS for all information regarding setting up the ePacket account. Is delivery available in all the cities of Mexico? ePacket delivers to all cities on the mainland. If you can give us a specific city name, we can check if it can be delivered to that city. I am from India.Could you please send me the details. Thank you for reaching out! Please submit a quote request, and someone from our team will contact you ASAP. Hi I’d like to have epacker 14 day delivery with my aliexpress orders to South Africa. Could you help us with this? We’ll send you an email with more information. Hello there, does ePacket provide service to Peru? Peru is still not on the list of supported countries for ePacket shipping. China Post EMS might add it in the future, but we cannot know that for sure. In the meantime, we can offer you another shipping service for shipping to Peru. If you’re interested in learning more about various shipping options we offer, please submit a quote request, and someone from our team will contact you ASAP. Hi I send an email just today. looking for e-packet service quote to the Philippines. Thanks! Hi , i also need details how to ship to india and Lebanon please. Please send us a quote request with some details about your products and someone from our team will reach out to you ASAP. Hi. Can you please advice the fast & reliable shipping method from China to UAE . We can offer you several shipping options for shipping from China to the UAE. Please submit a quote request, and someone from our team will send you all the details. Can i ship from US to China and if yes what are the charges. We are a logistics company in China. We can only help you with shipping from China to other countries. Hello. I need the price detail to Malaysia. Thank you for reaching out! We’ve received your quote request. My colleague will send you an email soon. Thank you for reaching out! Sure, I can send you all the necessary information for shipping from China to South Africa. However, in order to give you the most accurate information, we just need some information about your products, so please fill in the quote request on our website and someone from our team will contact you. Hi! I was trying to reach you my pm. It seems there is some server issues. Can you contact me out of course because I am interested in your service. You see, currently I am doing business on the internet and I ship worldwide everyday. Look forward to your reply sooonest! We would love to discuss with you how we can help you out with your operations in China. We just need some information about the kind of services you require, so please send us a quote request and someone from our team will reach out to you ASAP! Is there any plans to extend ePacket services to Bosnia in the near future? Unfortunately, this is not something we can help you with. ePacket is a shipping service offered by China Post EMS and they decide which countries are supported. We are a logistics company that uses ePacket to ship packages for our clients. However, we do have other shipping solutions for shipping from China to Bosnia and Herzegovina. If you’d like to know more about it, please submit a quote request and someone from our team will reach out to you ASAP. Can you please share with me shipping details to USA and India? Thank you for reaching out! Yes, of course, I can send you all the details. But first, I just need some information about your products so I can send you a quotation that suits your business the best. Please submit a quote request and I’ll send you all the details regarding shipping from China to the USA and India. We’d love to get in touch with you. However, in order to get you the most suitable quotation for your needs, we just need some information about your products. Please submit a quote request and someone from our team will contact you. We’ve received your quote request. Someone from our team will send you all the details soon. Hi! I work with Aliexpress and I need quotes to send packages to United Arab Emirates. Please let me know. Please submit a quote request with some information about the products you’d like to ship and someone from our team will contact you ASAP with all the information regarding shipping from China to the UAE. Yes, we have some options for shipping from China to Sri Lanka. We just need some details about the products you’re looking to ship, so please submit a quote request and someone from our team will reach out to you with all the details. Can you please also advise the other option for Philippines since there’s still no epacket? If you can please give me the details. Please? Thank you for reaching out! Yes, we have some options for shipping to the Philippines and we’d love to discuss with you how we can help you out with shipping your products from China to the Philippines. However, in order to give you the most accurate information we just need some details that you can provide by submitting a quote request. I hope to hear from you soon! Is there any way of knowing which countries customers are responsible for paying customs and taxes on epacket deliveries? I always read that customers are responsible for paying customs and taxes. Thank you. Yes, it is true that customers are responsible for paying customs duties with ePacket. There are some other services that allow paying some amount upfront to minimize potential customs issues, but with ePacket, all duties are a responsibility of the recipient of the package. There is no list of the countries as all countries usually charge for customs, especially if the declared value of the package is higher. Thank you for reaching out! We would like to discuss with you how we can help you scale your business operations in China. Please send us a quote request and tell us a little bit about what kind of products you’re looking to source etc. and we will get back to you with an offer. We’ve received your quote request. Someone from our team will reach out to you ASAP! Is it possible for reverse shipping, or only one way from China (China Post) to Indonesia (Pos Indonesia)? Thank you for reaching out! If you’re referring to ePacket, then it’s only possible to ship from China to other countries. can you send shipping details to Bangladesh as I am starting a dropshipping e-commerce business. Thank you for reaching out! In order to give you the quotation that suits your needs the best, we just need some information about your products. Please submit a quote request with this information and someone from our team will send you the most suitable options for shipping from China to Bangladesh ASAP! I want to know how to ship to Nigeria with low price. Unfortunately, Nigeria is still not supported by ePacket. However, we offer other shipping options that support shipping from China to Nigeria. Please submit a quote request and give us some information about the products you’re looking to ship and we’ll send you the quotation that suits your needs the best. Wow! I realize this post has been created last year but you do respond to request and inquiries pretty quick which is amazing. Please send me alternative options for ePacket in the Philippines (I hope they do include Philippines in the ePacket list this year!). Do you have have any clients who are based in the Philippines who do drop shipping and use your services? If yes, how is it working for you and them? Thank you for reaching out and for your kind words! We would like to discuss how we can help you out with shipping from China to the Philippines. So, please submit a quote request just to give us a bit more information about your products and we’ll reach out to you ASAP! I am from Mozambique and i bay many items in aliexpress and i want to use the epacket and dont work..Why is that? Mozambique is not on the list of supported countries for ePacket. Since ePacket is a service offered by China Post EMS, they decide which countries are supported, so, unfortunately, we do not know when and if Mozambique will be on the list of countries serviced by ePacket. I want to ship my product to your listed countries, but my supplier is in pakistan. So how can I able to use epacket service for my ecommerce business. ePacket is a service that can be used for shipping from China to other countries in the world. The only way you can use ePacket would be if you’d export your goods from Pakistan to China and then use ePacket. I would also like information on delivery to South Africa please. We would like to discuss how we can help you out with shipping from China to South Africa. So, please submit a quote request just to give us a bit more information about your products and we’ll reach out to you ASAP! ePacket is a service that can be used only for shipping from China to other countries. In order to use ePacket for your products, you would need to send your products to China first. For more information, please submit a quote request and someone from our team will reach out to you to help you figure out the best solution for your business. Thank you for reaching out! Please submit a quote request and someone from our team will reach out to you to help you figure out the best solution for your business. Yes, we offer some services that can ship to Colombia. Please submit a quote request and tell us a little bit about your needs and someone from our team will reach out to you ASAP! Yes, you are correct, the Philippines is not on the list of supported countries for ePacket. However, we offer over 15 different services and some of them do support shipping to the Philippines. Please submit a quote request and let us know a little bit about your business so that we can send you a quotation that would suit your needs the best. In order to send you a quotation that would suit your needs the best, we just need some details about the products you’re looking to ship, so please submit a quote request and someone from our team will reach out to you with all the details. Option of “Pakistan” isn’t available in given list. Any update in list regarding Pakistan or what are the other options. Please guide. Yes, unfortunately, Pakistan is still not on the list of supported countries for ePacket. However, we offer other services that can ship to Pakistan. Please submit a quote request and someone from our team will contact you ASAP! Please submit a quote request and someone from our team will send you all the details in an email. Can you send me shipping details to Egypt? Sure, we can help you with shipping from China to Egypt. Please submit a quote request and someone from our team will contact you as soon as possible. Can you please tell how to do ?! Thank you for contacting us! We’ve received your quote request and one of my colleagues has already sent you an email. Can you please check if you’ve received it? I would like to know more about dropshipping to the Philippines. Please do share more. We can help you with shipping to the Philippines from China. However, in order for us to know what would be the most suitable service for your needs, we just need some information about the products you’re looking to ship. So, please submit a quote request with some details about your products, and someone from our team will contact you via email ASAP. Please can you shipping to sudan .. Yes, we can ship to Sudan. For more information, please submit a quote request, and someone from our team will contact you. There are any upcoming limitations or price changes on shipping from China to USA? We are not aware of any changes when it comes to shipping from China to the USA. If any changes occur, we will inform you. In order to send you details for the service that would suit your needs the best, we just need some information about the products you’re looking to ship. Please submit a quote request, and someone from our team will send you an email with the quotation for shipping to South Africa. Please can you send me an email detailing the option fro Drop Shipping to South Africa. We would love to discuss with you how we can you with dropshipping from China to South Africa. In order to provide information that is the most relevant for your business, we just need some information about products you’re looking to dropship, so please send us a quote request, and we’ll email you all the details. I am a Shopify store owner and I am looking just for the right shipping partner. Currently I sell $10k month (mainly to the US) but can not scale due to shipping difficulties. – Detailed pricing for each supported country ($ per kg/cm3)? – Can you help me ship products I buy on Aliexpress? – What are your sourcing services? – Do you have Shopify integration? How do you pass or accept tracking/order info? I really want to expand my shipping options, and that’s what I mostly interested in. We received your quote request and we look forward to continuing our conversation to figure out how we can help you with your business. When you set the country of destination on AliExpress to the UAE, each product will offer you shipping methods that that particular seller supports. If you’d like to learn details on how we can help you ship packages from China to the UAE, please submit a quote request and someone from our team will contact you ASAP! hey i want to chip from china to usa. what the price for epacket . We’ve received your quote request. Thank you for contacting us! I need details for ePacket delivery to Philippines. ePacket does not support shipping to the Philippines, unfortunately. However, there are other services that we offer that do support shipping to the Philippines. For more information about these services, please submit a quote request and someone from our team will send you all the details in an email. Please is this 7 to 10 days delivery achievable? i want to include it on my ecommerce website and please do you provide api for ecommerce integration or do you have existing app with shopifiy? Please note that it’s 7 to 10 business days, not regular days. This is the official delivery time by China Post EMS and most packages arrive within this time period. We do have software that can integrate with Shopify. Please send us a quote request and someone from our team will reach out to you with all the details via email. Thanks! I need details for ePacket delivery to turkey. My friend wants to send me some gifts from beijing like cloths and perfume. Please send us a quote request and someone from our team will contact you via email with all the details about shipping from China to Turkey. Thanks! Please submit a quote request and someone from our team will contact you via email with all the details about shipping from China to Nigeria. Thanks! please do you guys ship to Africa(Nigeria), if yes please send me the and price and procedures. Yes, we can ship to Nigeria and other countries in Africa. For more details, please send us a quote request and someone from our team will contact you. We are a logistics company that uses ePacket and similar services to ship packages for our clients from China directly to their customers. ePacket is a service by China Post EMS. We are not China Post, so we do not decide which countries are supported by ePacket service. Mauritius is not on the list of supported countries by ePacket at the moment, and we do not know if and when it will be. Please send me the details of shipping to South Africa. Thank you for reaching out and for taking time to fill out our quote request form. I have replied to you via email. Thanks! Thank you for reaching out! Are you selling to your customers in Denmark? Please send us some details by submitting a quote request and we’ll get back to you ASAP! There is any shipping options for Morrocco ?? We offer some services that can ship to Morocco. Please submit a quote request and someone from our team will contact you via email. Thanks! Would you please quote Ukand USA prices ? Hi Ayman! We just need some info for us to be able to give you the right quotation suitable for your needs. Kindly fill out a quote form and we’ll respond to you via email. Hi Nokulunga! We just need some info of your shipping needs so we can give you a suitable quotation. Kindly accomplish a quote form and we’ll get back to you via email. Could you please email me details regarding ePacket shipping to Philippines? or best Option that you can give? Hello Rodel! China Post’s ePacket doesn’t support Philippines but we have other shipping carriers that can ship there. We’ll just need some info of your shipping needs so we can provide you with the right details. Kindly fill out this quote form and we’ll get back to you via email. Hello LeighAnne! We’d need some info of your shipping needs in order for us to provide you with the right details. Kindly fill out this quote form and we’ll get back to you via email. Hello dear. Can you please tell me if there is any option shipping to Guinea ( West Africa). Thank you. Hi Mohamed, thank you for reaching out! Yes, we have shipping options to Guinea but not via China Post’s ePacket. Please fill us in with some info about your shipping needs by answering this quote form. Then we’ll get back to you via email. Hi, I have a shopify store I’m just about to launch. I want to sell to many European countries, Asian countries and also UAE, Qatar and Saudi Arabia. I had to enter one by one into 500 products to see if they ship to all the 30+ countries I want to ship to. Do you do shipping to UAE, Qatar and Saudi Arabia and any other countries that a certain seller might not sell to? Item A does not ship to UAE. Hello Priscilla! Kindly fill out our quote form so we’ll have a better picture of your shipping needs and we’ll get back to you via email. I would like some information or possible solutions for using ePacket from China to South Africa. At the moment, China Post’s ePacket service doesn’t support South Africa. But we have other shipping options that can ship there. Kindly fill out a quote form and we’ll respond to you via email. I would like to ask some information about epacket from china to Philippines. Unfortunately, ePacket does not support shipping to the Philippines. However, China Post is always expanding the list of supported countries for ePacket. Should you be interested to use other shipping options from China to Philippines, please fill out a quote form so we’d know more details of your shipping needs. Then we’ll respond to you via email. Could you please send the details for shipping to India from China for Dropshipping business. We’d need to know a little more info about your shipping needs. Kindly fill out a quote form and we’ll respond to you via email. Which countries does ePacket deliver to? What are ePacket’s shipping restrictions? How to ship larger and heavier packages? Want to use ePacket for shipping to India? How to find a supplier in China? Get in touch with us! We’re always happy to help in whatever way we can. Would you like to scale your logistics operations in China?